August 2014 Special – The Heavy Sterling Silver Bangle is $30 off! 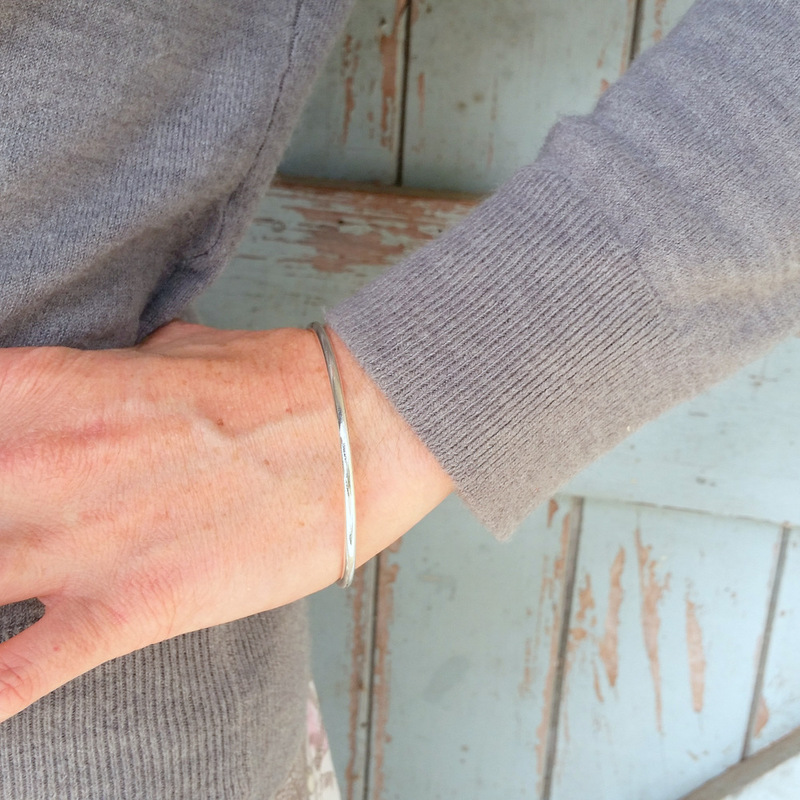 ON SPECIAL in August – the Heavy Sterling Silver Bangle. Available in Matte or High Shine finish. Normally $190… now just $160. August only! It’s time for a new monthly special! 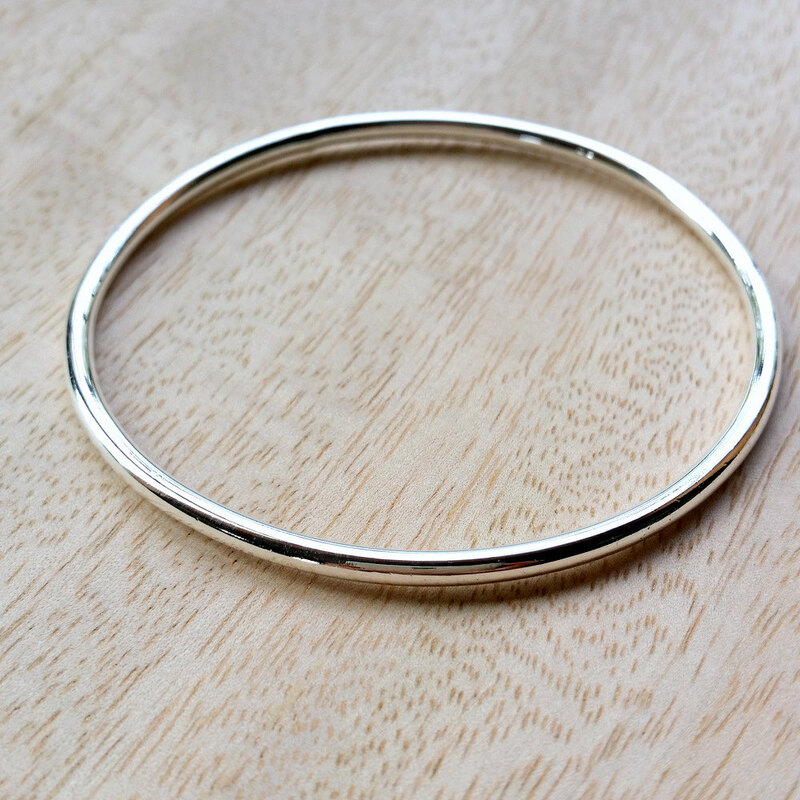 This month, I decided to put the Heavy Sterling Silver Bangle on special. I have a few staple Epheriell pieces that I personally wear over and over again. This is one of them. 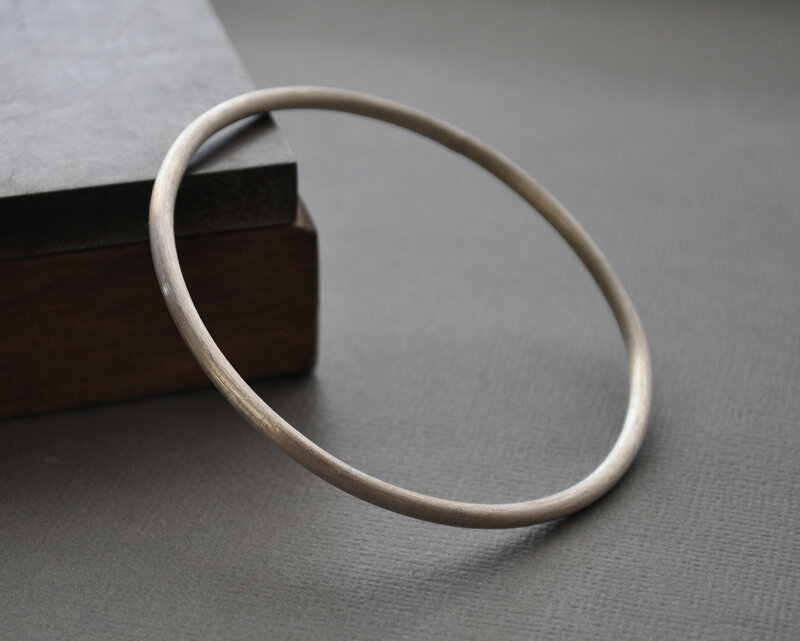 I love the simplicity of the Heavy Bangle – it is comfortable, minimalist, and goes with absolutely everything! I’ve worn it hiking, scuba diving, while working… I’ve not taken it off for months at a time. It’s a piece to wear for a lifetime. It’s normally $190… but right now it’s only $160. It comes in a high shine or matte finish, in 3 sizes. I handmake each one from recycled sterling silver, just for you.